Jacqueline Wilson serves up another winner with this tale of two girls with similar problems, living in very different times. 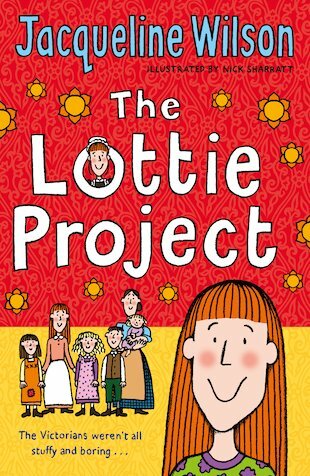 For a history project, Charlie is writing the diary of Lottie, a Victorian serving girl. Lottie shares Charlie’s name, Charlotte, and is also eleven. But that’s where the similarities end. Unlike Charlie, Lottie has to work to support her big, poor family. It seems a million miles from Charlie’s life – until Mum loses her job. Suddenly Charlie sees how much she can learn from Lottie’s hardships. For a start, Lottie would definitely know what to do about Mum’s awful boyfriend and his wimpy son! Yet another great book by Jacqueline Wilson! As usual, Jacqueline brings a touch of magic and learning to all her books. I love learning about the Victorians! We were learning about victorians at school and this certainly was great for it! This book is a bit boring but it was ok.